As I packed my bags in preparation for college four years ago, I was excited about the opportunities that were ahead of me. There was a chance to explore a new city, a chance to make new friends, and even a chance to experience an actual winter, with actual snow. None of these opportunities, however, topped my excitement about the chance to join a Muslim Student’s Association (MSA). Although I had spent much of my childhood at my local mosque, and around other Muslims, the majority of my teen and pre-teen years had been spent without belonging to any sort of formal Muslim community. Despite having a few close Muslim friends, I longed to know what it felt like to be a part of a larger faith community. To me, worship done in congregation with other individuals whom I cared about was the best form of worship. During my first few months on campus, I attended every MSA function, both formal and informal. In an effort to make up for lost time, I tried my hardest to immerse myself in the community, make my name known, and develop friendships with the other members who I thought I’d grow in faith with. To my dismay, none of these wishes played out in reality. For one, there was a clear racial divide within the community that manifested itself in various ways. At times, the MSA felt like a cultural organization dominated by the presence of one ethnic group rather than a religious organization empowered by the inclusion of multiple ethnic groups. This could be seen in everything from the food we ordered for events, to the countries we donated to, and made du’a for. As one of few black Muslims, and the only African-American Muslim, none of the causes that were specific to the facets of my identity were ever at the forefront. While other student groups on campus held discussions on anti-blackness, spoke out against police brutality, and proudly claimed that black lives mattered, the community I looked up to the most was usually trapped in a deafening silence. To remedy this issue, and give being a part of the MSA another chance, I looked at joining the board as a solution. In addition to granting me insider status, I believed that joining the board would allow me to address problems of diversity and inclusivity. As it turned out, joining the board was another dead end. After arguing for more diverse events and discussions, encouraging the organization to invite speakers from different backgrounds, and trying to facilitate conversations on racism, I ended up with more stress than happiness. For a while, I blamed myself for not fitting in. I believed that there was some part of myself that I needed to change, or some part of myself I needed to tone down. I finished half of my term on the board before I finally realized that the MSA was not meant for me. It took a much longer period of time before I realized that this was okay. For students like me, who didn’t have a Muslim community before coming to college, the MSA was an opportunity to reaffirm my identity as a Muslim. In a way, I had almost felt obliged to be a part of it. It seemed like common sense for a person who wanted to practice and learn more about their faith to join an organization that would theoretically help them do both. In the end, the time I spent trying to force myself into the MSA was detrimental to both my health, my schoolwork, and my faith. Although MSAs are supposed to provide spiritual and social resources for Muslim students, they do not always fulfill this duty in reality. Deciding to stop participating in an MSA is not a measure of a person’s faith, and should be done if remaining in the MSA does more harm than good. While the MSA failed to provide the community I had stubbornly chased after, it did introduce me to the friends I’ve formed an alternative community with now. 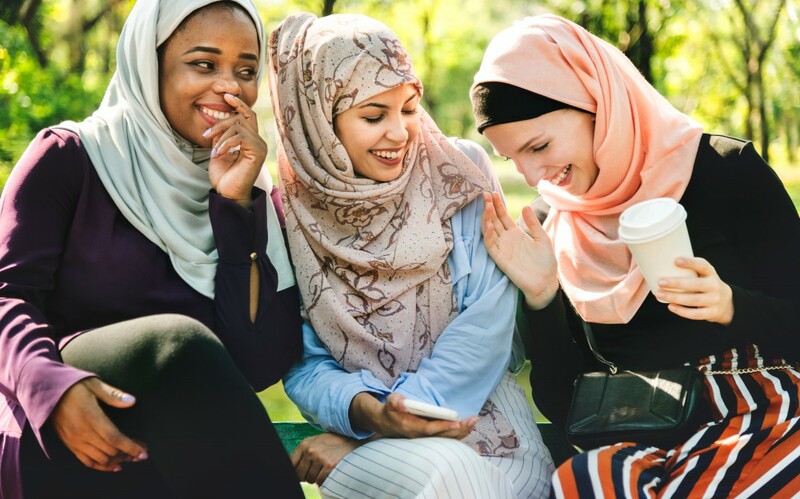 In this group of friends, I don’t have to choose between being black and being Muslim, and the concerns of all facets of my identity are acknowledged. Nevertheless, hearing other students talk about how close, supportive, and inclusive their MSAs were still hits a nerve within me. Whether or not I will ever feel at home in a larger Muslim community is unclear, but I confidently say now that my faith is my own and is not determined by any community, especially one that doesn’t embrace all parts of me. One of my favorite hadiths of the Prophet (PBUH) states that the believers are like one body, and when one of the limbs suffers, the whole body responds. Until our communities celebrate when one part of it is celebrating, mourn when one part of it is in mourning, and speak out when one part of it is suffering injustice, we have a lot of work, healing, and reconciliation to do.